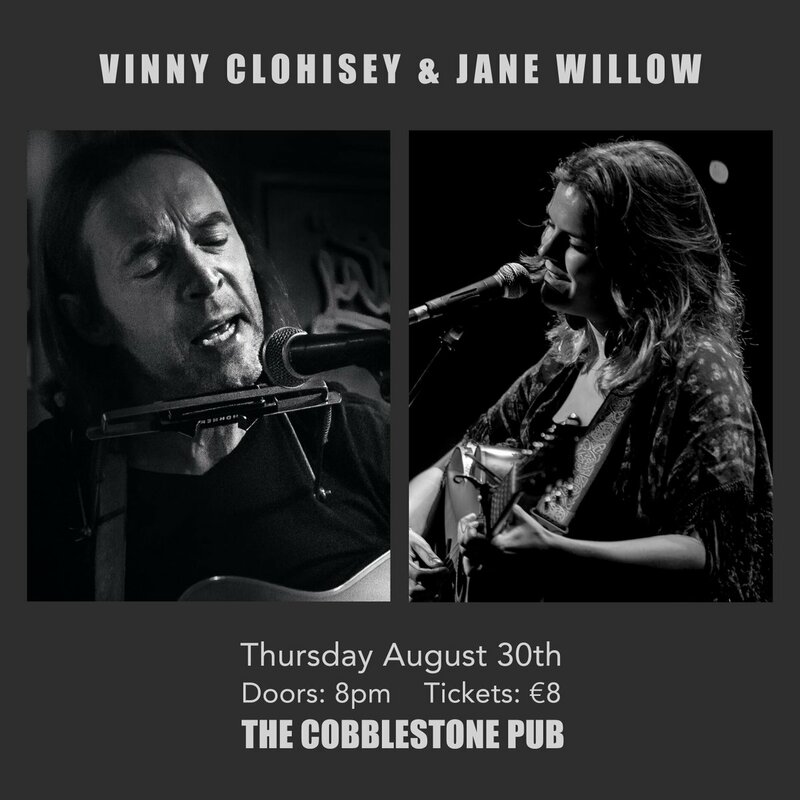 Double headline show with Jane Willow & Vinny Clohisey. Jane will also be launching her second single (+music video) for ‘Onward Still’. Acoustic, intimate show. In recent years Jane’s played an incredible amount of gigs, frequenting venues like Vicar Street, Whelan’s, The Workman’s Club and Galway’s Roisin Dubh. In August 2017 she opened for Glen Hansard in Vicar Street. She followed this gig with a full band show in the Grand Social. In November Jane successfully raised over 4000 euro on fundit.ie for her first EP. On her debut EP she collaborates with Dave Hingerty (drums: Kila, The Frames), Vyvienne Long (cello: Damien Rice) and regular band members Joanna Marie Burke (backing vocals), Eoin Healy (bass), Derek Copley (mandolin) and Scott Flanigan (keys). On August 30th she releases her second single ‘Onward Still’, while her EP is due for release in November.